During Operation Protective Edge, Israel's offensive against Hamas and other Palestinians resistance organizations, entire neighborhoods were destroyed by Israeli military forces. More than 2000 Palestinians were killed and around 520,000 were displaced by the conflict that lasted for seven weeks. The deserted souk of eastern Shuja'iyya district on the morning the bombing started, Gaza City, July 20, 2014. 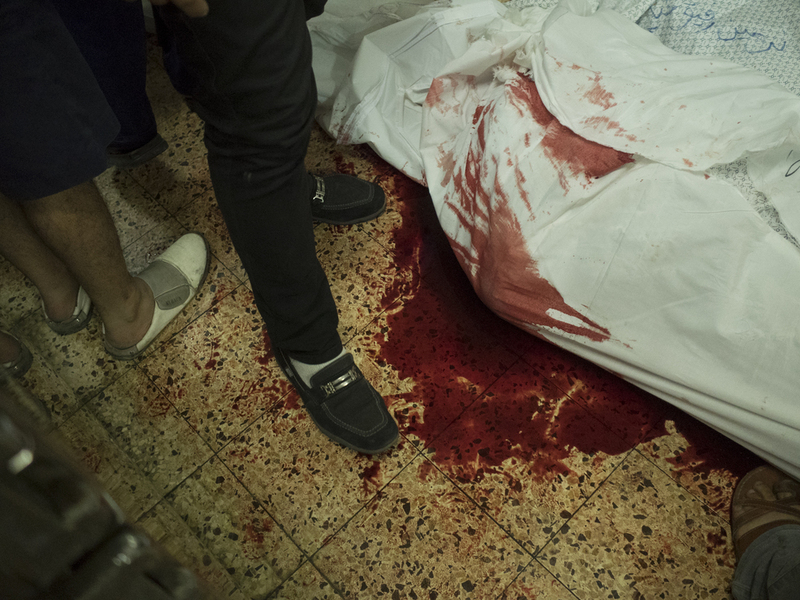 At the morgue of Al-Shifa hospital men carry the body of a victim from an Israeli airstrike, Gaza City, July 28, 2014. On the first day of Eid, the celebration of the end of the holy fasting month of Ramadan, a playground was hit in the Shati refugee camp killing 10 children. Both the Israeli military and Hamas attributed the strike to one another. A man looks into the hole left by an Israeli airstrike. Rafah, July 26, 2014. The destroyed neighborhood of Beith-Hanoun, July 26, 2014. Shuja'iyya district during an Israeli airstrike, Gaza City, July 23, 2014. A street in Shuja'iyya district after a bombing, Gaza City, July 20, 2014. 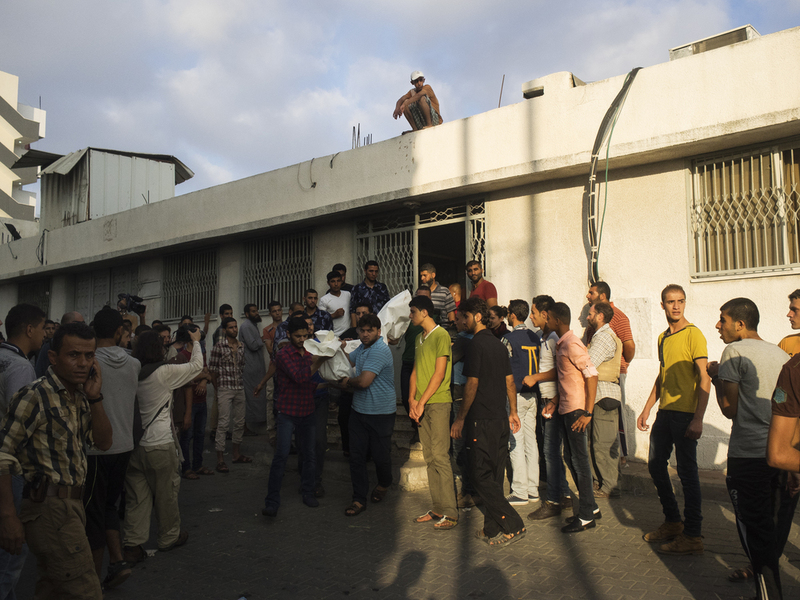 Outside Al-Shifa hospital men carry away the bodies of the victims, Gaza City, July 20, 2014. Al-Shifa hospital is at maximum capacity. Bodies of the victims are piled on the floor of the morgue, Gaza City, July 20, 2014. Men outside Al-Shifa hospital, Gaza City, July 20, 2014. The bodies of paramedic Fuad Jaber and cameraman Khaled Hammad killed by an Israeli airstrike on the ambulance they were riding in, while trying to rescue the wounded in Shuja'iyya district, Gaza City, July 20, 2014. Children gathering pages of the Quran around a destroyed mosque after an overnight Israeli airstrike, Gaza City, July 22, 2014. Hundreds of thousand of Palestinians flee from their homes in Shuja'iyya in the early morning after a night of heavy shelling by the Israeli military forces, Gaza City, July 20, 2014. 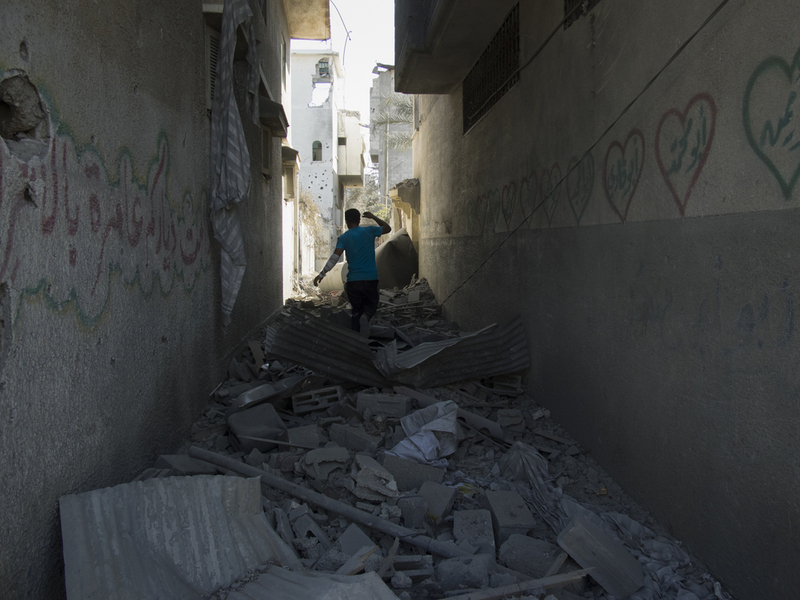 A street of Shuja'iyya during a ceasefire, Gaza City, July 26, 2014. 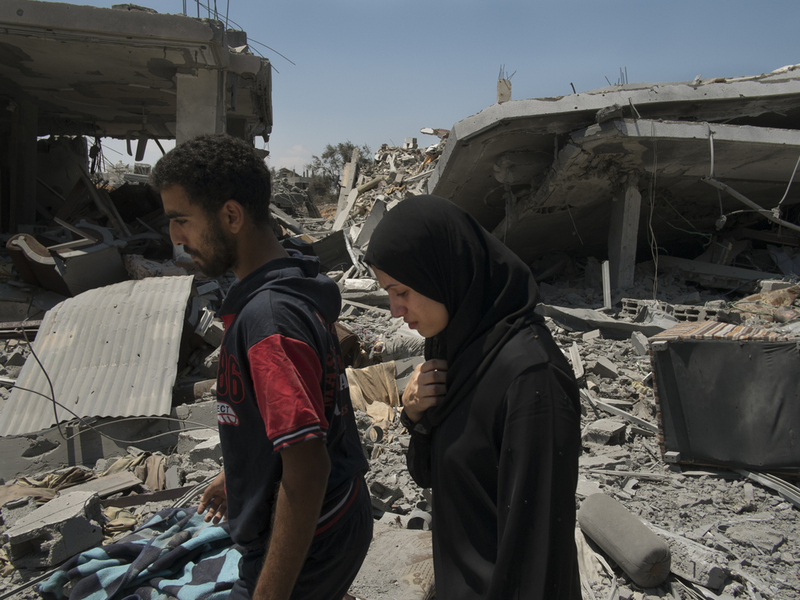 During a ceasefire Palestinians return to their destroyed homes in Rafah to inspect the damage, July 26, 2014. 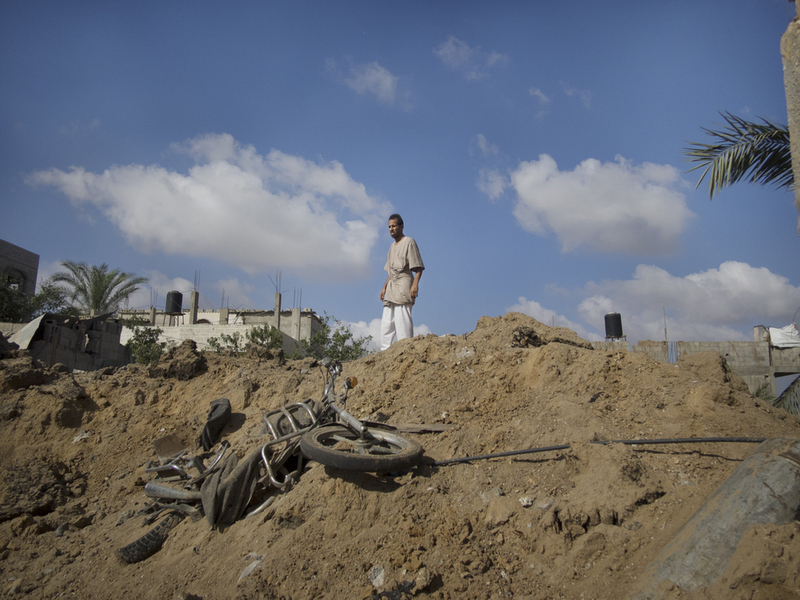 Men recover the body of a victim killed by an Israeli airstrike in Beit-Hanoun, July 26, 2014. Flare lights on Gaza City, July 18, 2014. 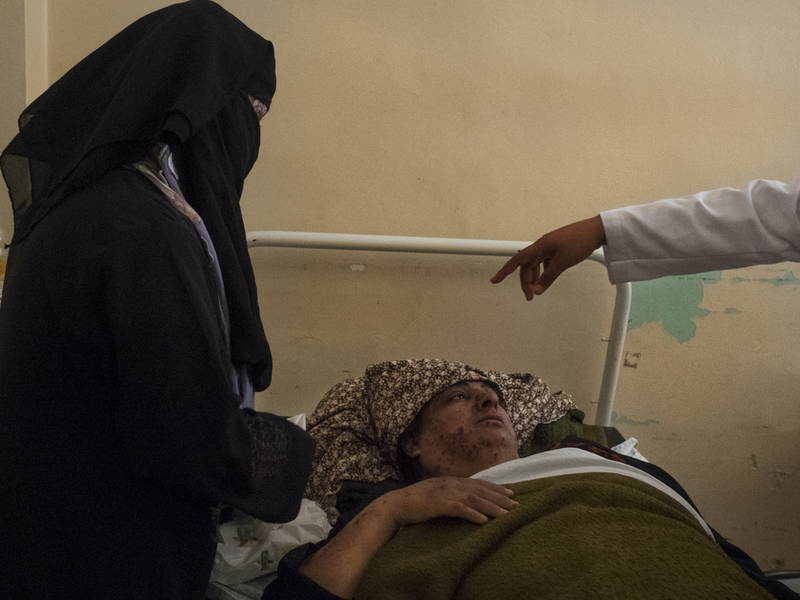 A woman injuried by the Israeli bombardments in Kahn Yunis Hospital, July 18, 2014. Palestinian rescue personnel inspect the damaged Al-Salam tower after an overnight Israeli strike, 15 people were killed and 30 injured, Gaza City, 22 July, 2014. During a day of ceasefire Palestininans go back to their demolished homes in Shuja'iyya, Gaza City, July 26, 2014. A boy in his destroyed bedroom in Shuja'iyya, Gaza, July 26, 2014. 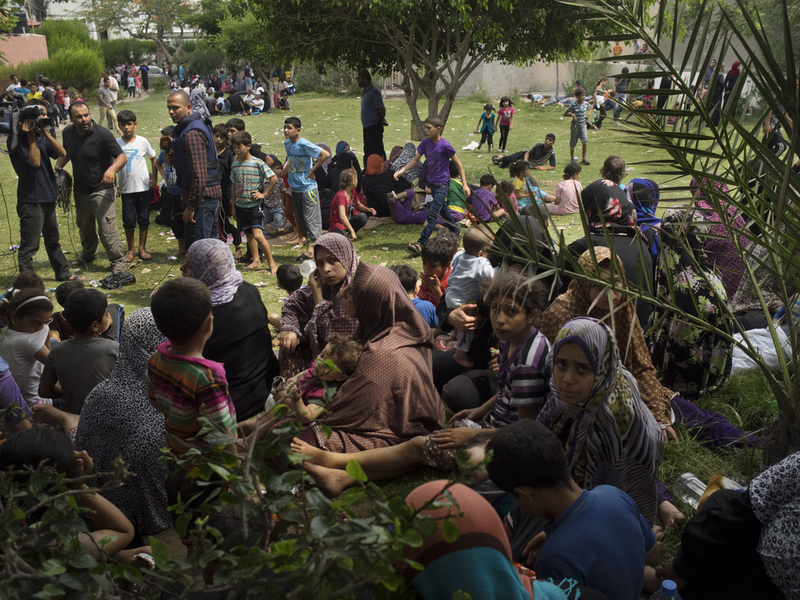 Palestinians look for shelter in a small park next to Gaza's main hospital, one of the few safe areas from Israeli strikes, Gaza City, July 20, 2014. UNWRA schools have become temporary shelters for over 270 000 refugees who had to evacuate their houses. UN structures are overcrowded and lack basic necessities for the families, Gaza City, July 18, 2014. Children in the courtyard of one of the UNWRA schools. The UN structures can provide basic supplies only for 35 000 people, Gaza City, July 18, 2014. The family of Najlaia Abd El A'al, from Beit-Hanoun, living in a temporary shelter in the courtyard of the UNWRA school, Gaza City, July 20, 2014. Families sleeping in the courtyard of an UN school, Gaza City, July 20, 2014. 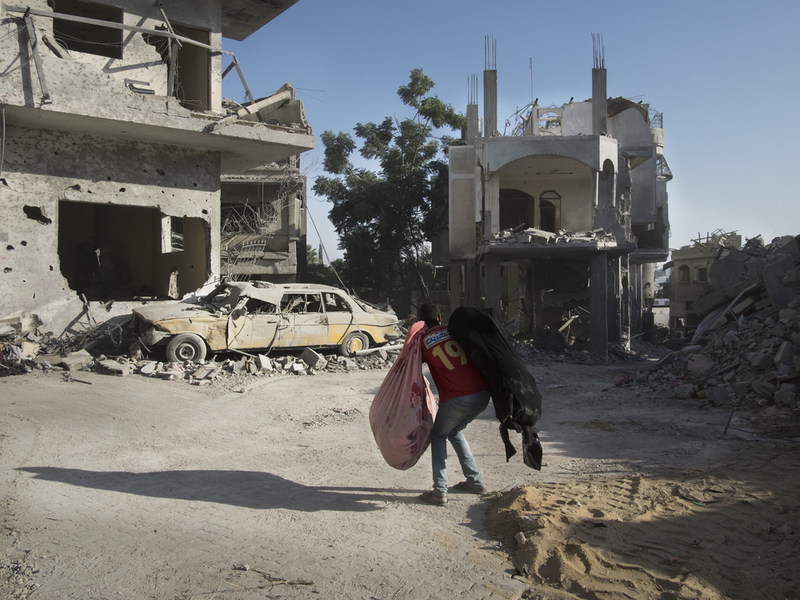 A man collects his belongings in Beit-Hanoun, July 26, 2014.